Another summer nears the end. 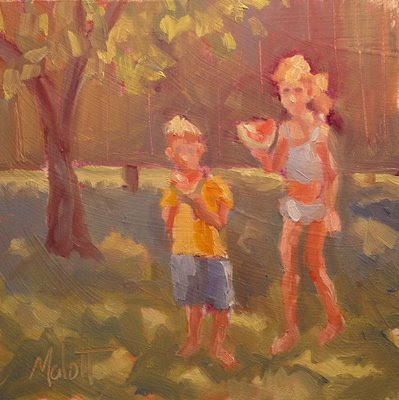 A fun memory of spitting watermelon seeds on a hot summer day was just the inspiration for this painting. The sun was dappled by the nearby apple tree. The kids were squeezing the last bit of summer out with friends before school started. 6"x6" oil on primed masonite.